When Allie and I were discussing what type of projects we would do for our book, we decided that one of the projects needed to be a down to earth workingman's quilt. About the time that we were working on these quilts, we were gifted with some absolutely beautiful feed sack fabrics. I instantly knew that I was going to use 1930's reproduction fabrics with my feed sack fabrics. I also began to think about the fabrics that were given to me when my grandmother passed away. You see, she was a fabric hoarder. No wonder I love fabrics, I come by it honestly! To make this quilt with the long skinny crazy quilted pieces, I had to get creative to keep the look still "crazy! I really love doing this technique and have made several projects using it. 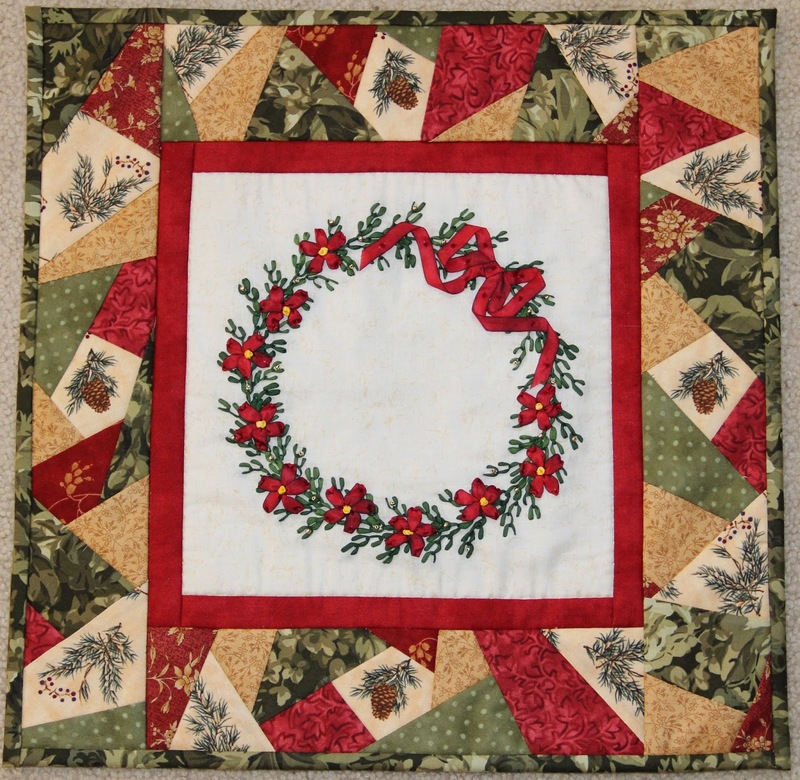 Pictured above is a small wall hanging I made for the Quilt Alliance as a fund raiser. I liked it so well, that I made myself another one! Then, in January, I decided to do the project pictured above. 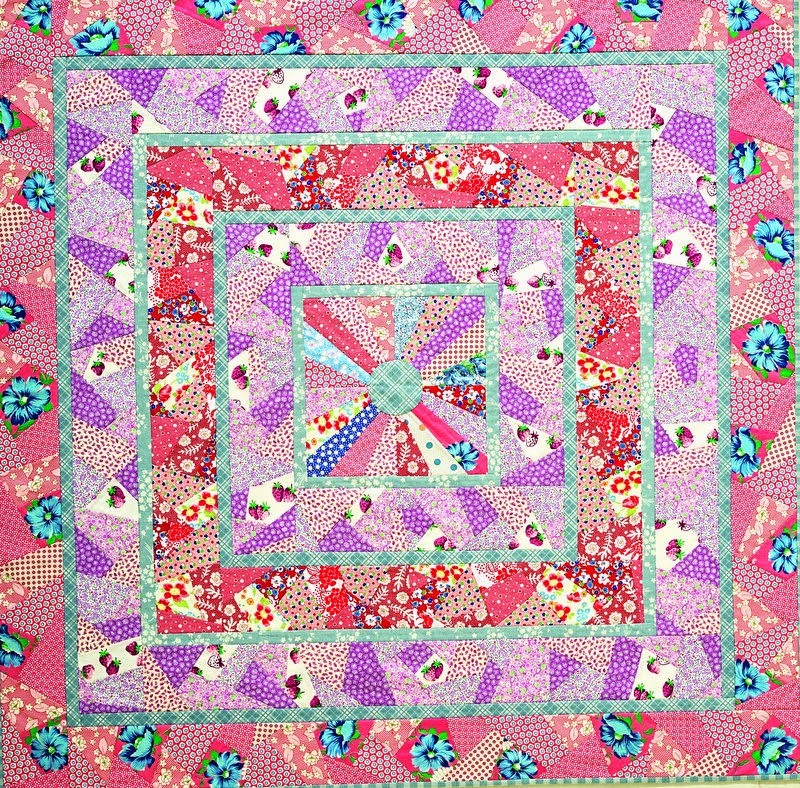 In this project, I used two techniques that are in our new book, Quilting....Just a Little Bit Crazy. The piecing of the long borders that I have already talked about, but also my method for piecing crazy quilt curves. I just love how it turned out and is by far my favorite piece I have made using the techniques. 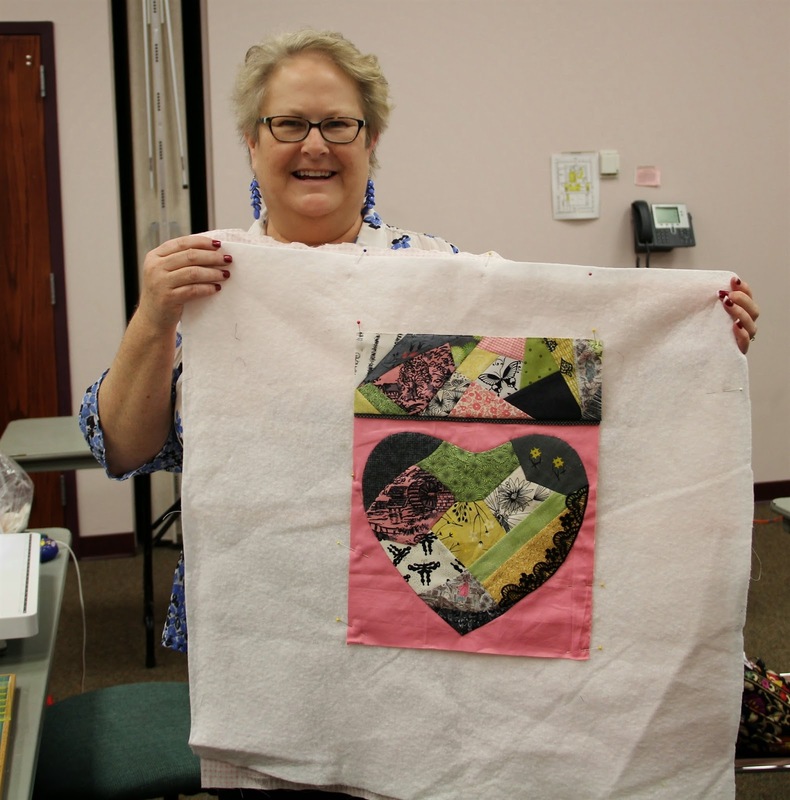 I taught these methods for the first time in February to the quilt guild here in my hometown. As, you can see, they had a ball and I just love how their wall hangings were coming together! Now, I know that you are thinking....Val, these are not embellished so are they crazy quilts? My answer is YES! Webster's definition of a crazy quilt is: a covering for a bed that is made of many pieces of cloth in different sizes without a regular design. Notice....no embellishments are mentioned! Many of you that know me well will be surprised that I have made some crazy quilts without embellishment, because hands down, the embroidery is my favorite part of crazy quilting. I can tell you that I love this technique so much that comes in at a close second! Anyway, something for you to think about!